Are you looking for new or used auto parts for your vehicle? 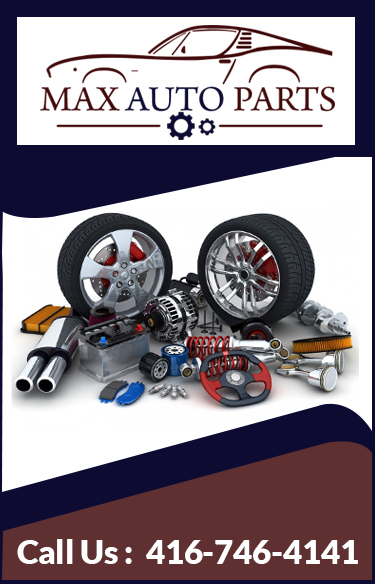 If yes, Max Auto Parts is here to assist you right away. We are one of the leading car parts store offering a wide range of new and used car parts for sale. Being in service for past many years, we take immense pride in serving our customers with automotive accessories for all car makes and models. Our technicians are both knowledgeable and experienced and have a complete information for various auto and truck parts in Toronto. We can inspect your car and tell you which part or element needs to be replaced. Our customers trust us for quality parts at cost-effective prices. If you are looking for used cars in Toronto, come to us. We have an exclusive collection of well-maintained used cars for sale. Call us today to get a free quote. © Copyright 2018 Max Auto Parts. All Rights Reserved.